Dry Creek Ranch - new homes in Northwest Boise, ID. 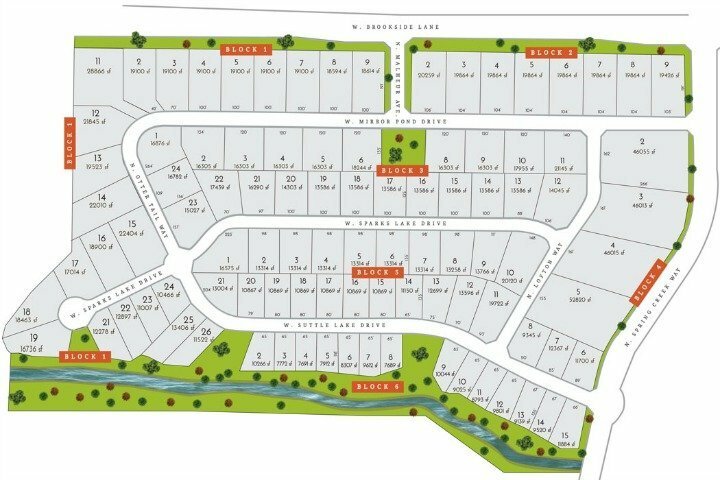 At the base of the Boise foothills, just north of Eagle, ID, you will find Idaho's most fitting planned community, Dry Creek Ranch. Set on 1,400 beautiful acres, Dry Creek Ranch will feature large lots, open spaces, trail systems, an equestrian facility, and a commitment to sustainability. Dry Creek Ranch is the place to build the home of your dreams. Considering a new construction home? Browse the largest selection of new homes in Boise, Idaho or research all new Boise subdivisions to find the perfect community. From State St head north on ID-55 for 3.5 miles. Turn right (east) on W Brookside Ln, then right (south) on N Malheur Ave.
Now Accepting Reservations - For the best selection of Boise homes for sale in Dry Creek Ranch, do not delay - contact us online or call a Boise new construction specialist at (208) 391-4466 today.